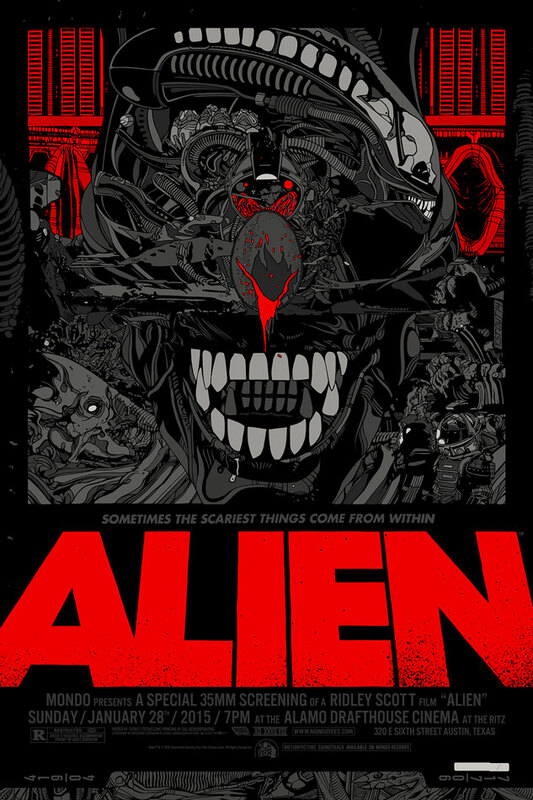 I’m sure some of you have seen these Alien posters already. I used to keep up with all the posters Mondo released (even though I could never seem to buy any), but lately I’ve lost track. As usual, I was too late to get one of these posters from one of the greatest sci-fi movies of all time. But I’m not bitter. They’re still pretty fun to look at right here. Tyler Stout did a great job. Maybe next time I’ll have more luck and get a poster of my very own. And maybe next time I can even get to the Alamo Drafthouse to actually see the movie. I think it’s good to have dreams. So, which do you prefer? Red or green? I’m kinda partial to the red myself. 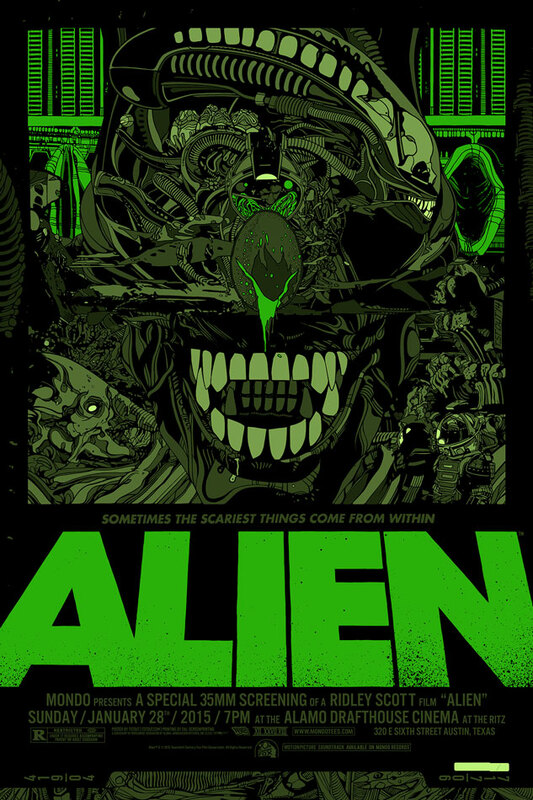 This entry was posted in Art, Movies, posters and tagged Alamo Drafthouse, Alien, Art, Mondo, Movies, posters, Ridley Scott, Sci-Fi, Tyler Stout. Bookmark the permalink.